Remember my quest for candy corn a couple of weeks ago? Well it wasn't for eating (I actually hate the stuff! ), it was for decorating. 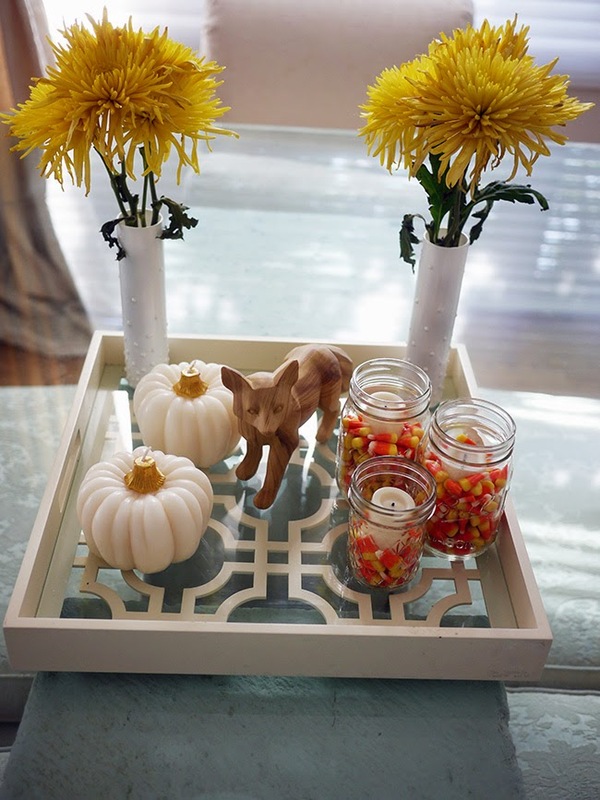 I'm not exactly where I got the idea, but I was browsing Pinterest and saw some decorations using candy corn, and thought it would look great as a candle holder. 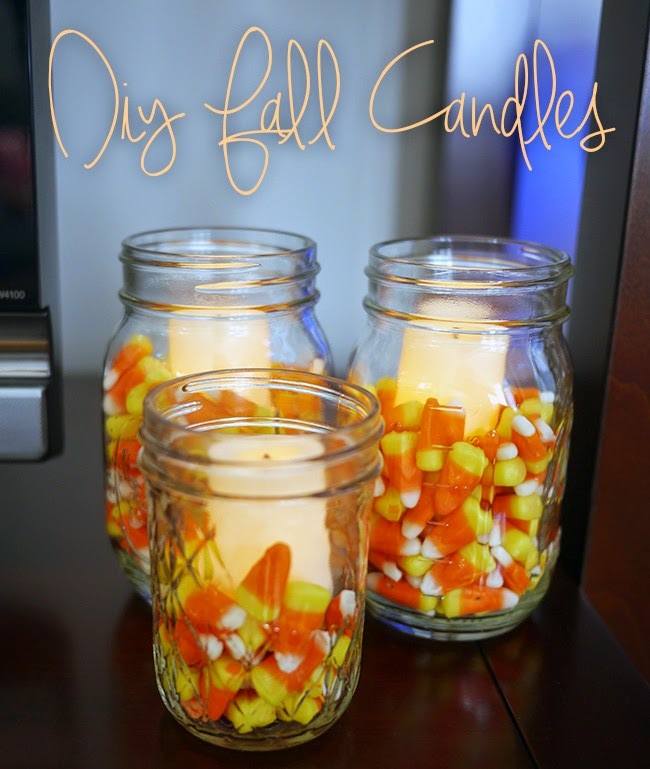 I already had some mason jars in various sizes (I originally found them at Target), so I filled them about a quarter of the way full with candy corn, put the candles in, and then filled in with more candy corn around the sides. I originally wanted real votives, but then I realized, duh, that real votives would melt the candy as well as the wax. These are flameless candles (also from Target) that I'll be able to use all season. You could also use real candles, but you would probably need to put them inside a little holder on top of the candy. I made a bunch of them, so I have them scattered around the house, including in my dining room with my favorite little fox from last fall. A fun little DIY that's less than 10 minutes of work? Now that's definitely my style! those are adorable! they would look cute as table decorations at Thanksgiving as well! Omg this is ADORABLE. I love!!!!!!! These are so cute, what a perfect fall decoration!